October 8 is just around the corner, and the entire OneTrust team is gearing up for our global user conference, PrivacyTECH. Event attendees will experience three action packed days of keynotes, networking sessions and MORE! Today, we are excited to announce the keynote and session speakers for the event. 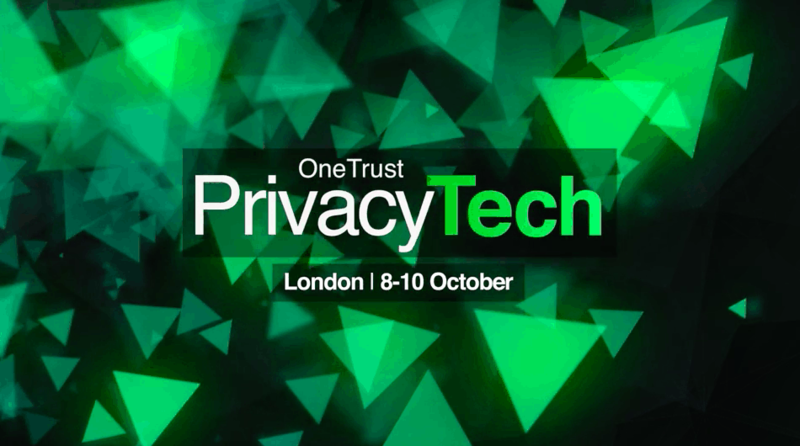 Register today for OneTrust PrivacyTECH 8-10 October in London and earn 10+ CPE credits! The first two days of PrivacyTECH will feature keynotes, networking and in-depth breakout sessions discussing the OneTrust product. On day three, attendees will have the option to achieve the Professional Certification, a OneTrust platform foundational training or the Expert Certification, an in-depth product module training, and will be able to earn 10+ CPE credits! Register today for PrivacyTECH at PrivacyTECH.com. For more information, read our press release and visit our LinkedIn, Facebook and Twitter.